After you have created accounts in social media networks, you need to set up social buttons and widgets on your store. 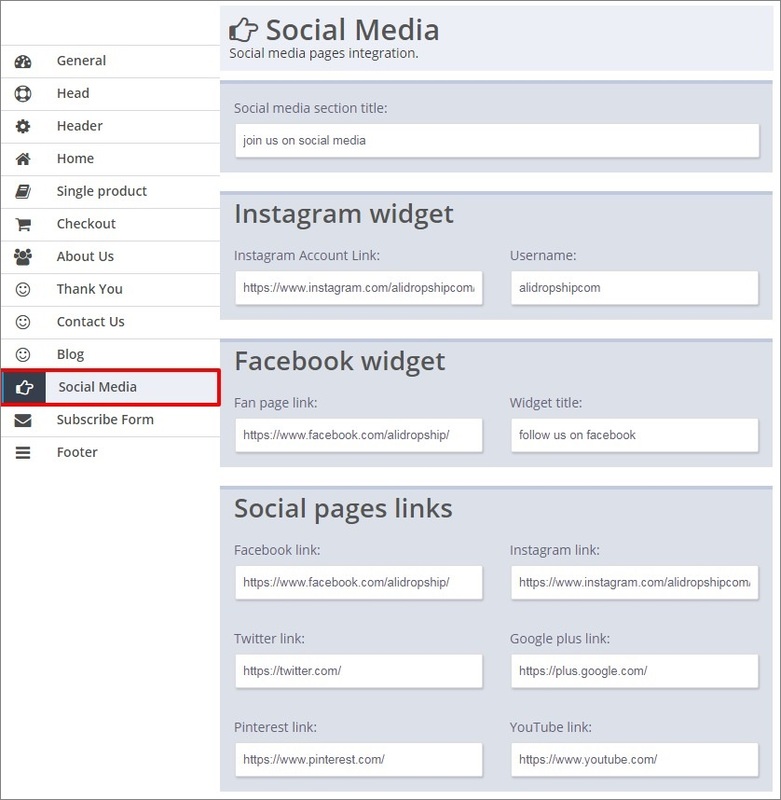 Add your Facebook, Instagram, Twitter, Google plus, Pinterest and YouTube accounts URLs to the Social pages links fields. These links will be connected to the social media buttons placed in the footer of your site. If you don’t have an account in some particular social network, or just don’t want to add the icon for that network, leave it blank. Save settings and check if everything is correct. 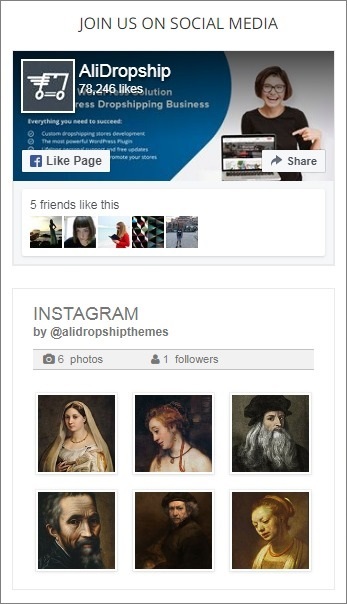 Besides social media buttons you can also place Facebook and Instagram widgets on your site. Enter Facebook fan page link in the required field. Enter Instagram account URL and username you want to add to the “Instagram Widget” area. You will see the Instagram widget that showcases your latest Instagram pictures.